The Truckee River is one of Nevada’s most significant natural and cultural resources, delivering 80% of all drinking water to residents in the Reno, Sparks, and Washoe County areas, also providing agricultural water from the mountains... AND it's the only significant source of water to Pyramid Lake, a sensitive and valuable "desert terminus lake." The river also provides a rich source of habitat for many species of plants and wildlife. The tour will begin at the hotel in Reno and the group will depart to Tahoe City approximately 1 hour 15 minutes away. The first stop of the tour will be at William B. Layton Park and the historic dam where Lake Tahoe drains into the Truckee River. Participants can walk through the small park on the shores of Lake Tahoe, cross the bridge over the historic dam, or walk through Gatekeeper’s Museum ($5 entrance fee). Next the tour will depart back down the Truckee River Canyon for a stop at Farad about 45 minutes away. 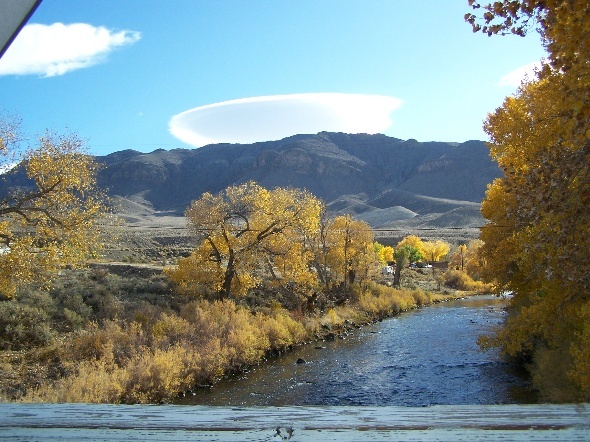 This is a beautiful spot on the river and is where the historic Farad streamflow gauge is located. The gauge defines low flow rates that must be maintained throughout different seasons. The Truckee River powerhouse is also located at this stop. The third stop will be at Derby Dam about another 45 minutes away. Derby Dam was constructed in 1904-05 and was the first major diversion from water that would otherwise flow into Pyramid Lake. At this diversion point water is directed into the Truckee Canal that flows into Lahonton Reservoir and provides water for irrigation to the large farming community of Fallon. The final stop will be Pyramid Lake which is about another 45 minutes from Derby Dam. This is the final destination for water the originates from Lake Tahoe and is a terminal lake with no outlets. The tour will then return to Reno which takes about 45 minutes.